Waverley is a special needs school for pupils from 3 to 19 with Severe Learning Disabilities (SLD) and Profound and Multiple Learning Disabilities (PMLD). As a school, we meet the individual needs of our pupils through highly effective teaching and learning strategies. with specific cognitive impairments. At Waverley the teaching and support teams use a wide range of strategies to foster a culture of lifelong learning and independent living skills. The team comprises of highly experienced and knowledgeable personnel in all areas of SEND. All are current practitioners at Waverley School. 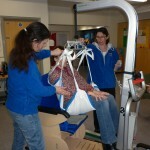 They are experts and up to date with current research and good practice within their respective area. Once a training course/package has been booked, the training team will discuss any specific areas related to your setting to ensure that the training offered is ‘fine-tuned’ to the requirements of your service users and delegates who attend the course. If you have identified a training need related to SEND that is not covered in the training brochure, please contact Lorraine Bennett to discuss other possible training courses we could deliver. Once the course has been delivered, one of the training team will make contact after 6 weeks to discuss the impact of the training and any other training needs. The cost for each course has been included at the end of each course summary and aims. This is a 3 hour course run by a licensed Makaton training for professionals to learn and use a range of practical signs and some symbols to develop the communication skills of a wide range of Makaton users in a variety of settings. The course gives information about the benefits and rationale of using a sign/visual supported communication system to help many learners with communication difficulties. The course combines a practical approach with theory and technical information. The trainer is a Makaton regional tutor. To understand the benefits of sign and symbol use, symbol design themes, the use and purpose of Makaton and an overview of alternative systems of communication. To learn the signs and some symbols for Stages 1 and 2. This taster course will give you more information on the accredited 2 day Foundation Workshop Course. Please enquire for costings if you have more than 20 delegates. 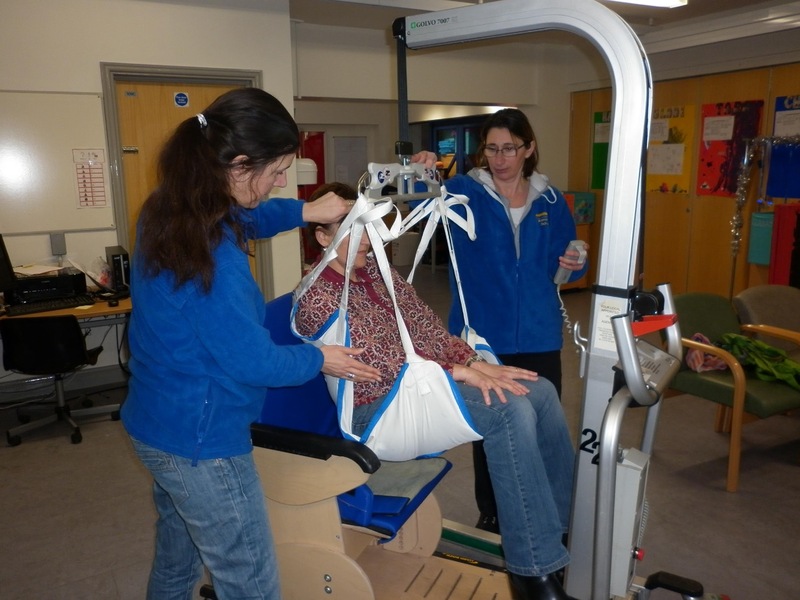 This is an accredited course about the manual handling of people with physical difficulties. 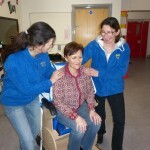 The trainer is a manual handling trainer. 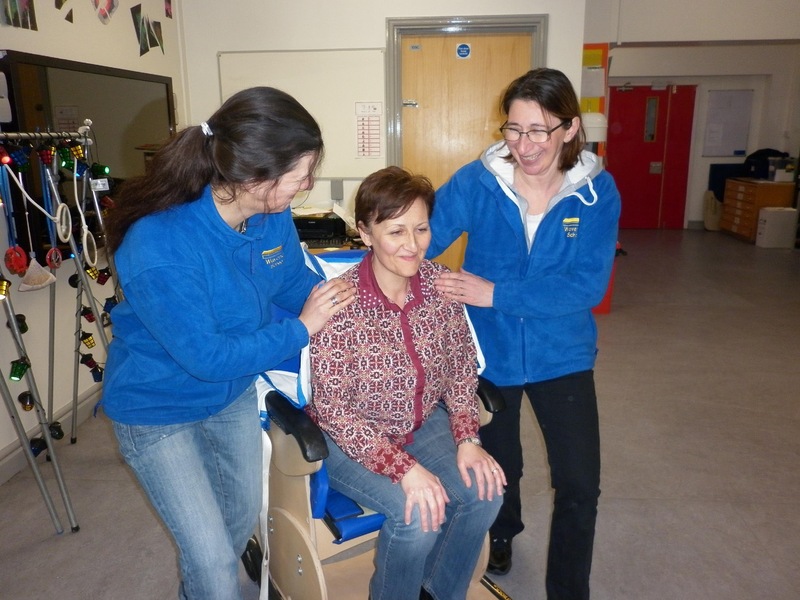 Participants will learn how to assist pupils from sitting to standing, with positioning, hoisting and handling. To provide staff with an increased awareness of good manual handling practice and how they can keep themselves and the pupils safe during manual handling tasks. The course includes theoretical and practical aspects to develop confidence and experience in this area. £300 for 3 hours (½ day) for a maximum of 8 delegates. £500 for 2 trainers for ½ day for a maximum of 16 delegates. Please enquire for costings if more than 16 delegates need to be trained. Safeguarding and Child Protection for staff working with pupils in schools, including pupils with SEND. A certified Safeguarding and Child Protection training with additional focus on SEND children and keeping all children safe (equivalent to level 1). To enable participants to understand their roles and responsibilities in line with the DfE Keeping Children Safe in Education (September 2018). To recognise signs and symptoms of child abuse. To know appropriate ways to reduce the likelihood of abuse. To recognise and respond to concerns appropriately in line with schools’ procedures. To know how to minimise, recognise and report unsafe practices. Defining safeguarding and child protection as well as staff responsibilities. How to promote the welfare of children. Awareness of increased vulnerability for children with SEND. Recognising cultural differences when dealing with safeguarding issues. £300 for 3 hours (½ day) for a maximum of 20 delegates. Please enquire for costings for more than 20 delegates. Practical advice on how to change a child’s nappy/pad, ensuring the child’s safety whilst keeping employees safe. Do 2 members of staff need to be involved in a pupil’s Personal Care in school? What information should go in a Personal Care Policy? £300 for 3 hours (1/2 day) for a maximum of 20 delegates. This course can be delivered as a twilight or during a staff meeting. STAFF MEETING: £100 for 1 hour for a maximum of 20 delegates. A practical course about designing, delivering lessons and resources accessible for SEND pupils which adhere to the principles of Inclusive Education. To give staff an understanding of the importance of adapting and differentiating lessons to suit the learning styles of pupils with SEND. Intensive Interaction has shown to be beneficial for pupils and young people who have yet to develop the ability to communicate or those who have difficulties with social interaction. £300 for 3 hours (½ day) for a maximum of 20 people. PODD (or Pragmatic Organisation Dynamic Display) communication books were developed in Australia by Gayle Porter, originally for children with cerebral palsy. As their use becomes more widespread throughout the world, practitioners are considering the benefits of using them with other clinical populations. Their structured organisation and emphasis on visual communication means that they are also a valuable tool for developing the communication of those with Autistic Spectrum Disorder (ASD) (Porter & Cafiero, 2009). £150 for 1½ hours (day) for a maximum of 8 people. Please enquire for costings for more than 8 delegates.